This novel has an inspiring premise and an even better plot. It’s a hybrid between conventional novel and science fiction. At its best, as sci-fi fans know, the genre is about far more than aliens and gizmos. Nobel Laureate Doris Lessing once said that science fiction had its second-tier reputation only because so few good writers had attempted the form. Eleanor Lerman, an award–winning poet, is such a first-tier writer. In Radiomen she gets the balance just about right. Poets often can’t help lapsing into high metaphor; they are accustomed to condensed language. Dog-loving aliens—the Radiomen of the title—have lived on our planet for ages. They are just as unsure about God's existence as we are. Hence, their extensive radio network that sends out prayers into the cosmos. But what do they hope for in way of an answer? On a late-night call-in program, “Up All Night,” whose host she eventually befriends and whose obsession she comes to share, the heroine encounters a psychic who tells her, “You’re lucky we met because you need help. And I can give it to you.” That opening leads to a dangerous engagement with the Blue Awareness cult, modeled on real life Scientology here on earth. The alien she once saw as a child on the fire escape of a building where her uncle operated a short-wave radio is recollected as a two-dimensional humanoid with no face or mouth—just an outline, "a shadow." 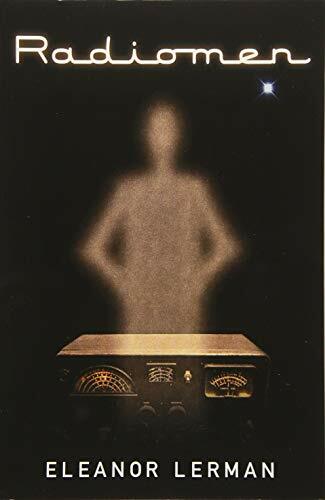 And yet the heroine, the radio show host, and the enigmatic Blue Awareness group each have vested interests in unearthing why the long-lost radio network still matters after the Earth’s node became silent following the uncle’s death. Into this strange mix come the dogs—Dogen dogs to be precise, a preternaturally intelligent animal from Mali descended from the dogs that, according to tribal myth, aliens brought with them on their visitation to the tribe eons ago. This book is a rollicking yarn. Yet at the end of any good book what readers ask themselves is, “What did it all mean?” and, more importantly, “What does it mean to my life?” These are questions that Radiomen asks in multiple ways.